Unique Landscaping has 20 years experience constructing or repairing driveways in Tulsa and surrounding areas. Trust Unique Landscaping to get the job done right! It is of the utmost importance that you choose the right driveway repair contractor to avoid many common problems people often fall into when trying to cut corners on driveway repair. Since there are no strict regulations on the driveway repair industry it is unfortunately easy to get stuck with a repair or concrete job that is sub-par. There are many horror stories of concrete contractors doing just enough to get by and doing work that will barely last past their warranty promises, or worse, disappearing and not honoring their warranties. At Unique Landscaping, we won’t just tell you what you want to hear in order to get your business. While we do make customer satisfaction a priority, we know that the only way to successfully do that is with honesty and transparency. 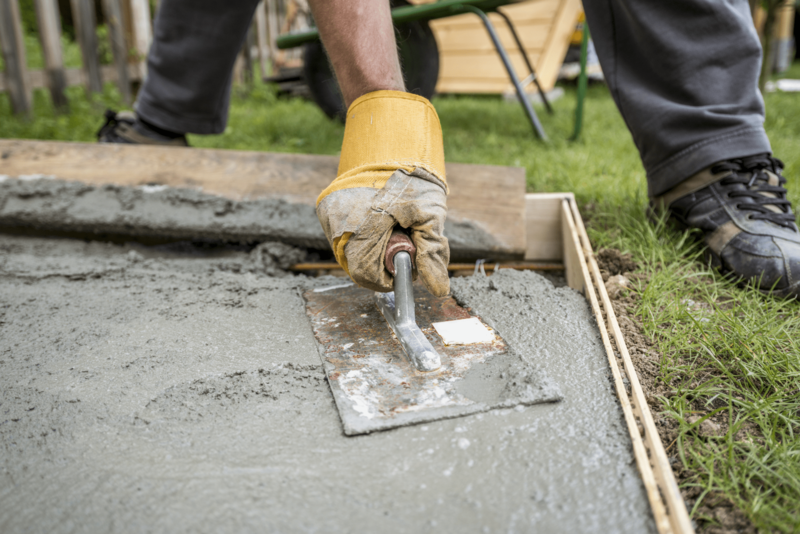 When our Tulsa concrete contractors repair your driveway or perform any of our concrete services, you can trust that the work is being done the right way the first time, and that our quality product will serve you well for many years to come. Why remove and replace is better for concrete driveway repair than skin patching? When repairing a damaged concrete driveway it is usually better to remove and replace the damaged area rather than patch it. The practice of “skin patching” (apply a thin layer of overlay material) is not a long-term solution as the patched area will not be able to withstand the same wear and tear as the rest of the driveway and will soon need to be patched again. If there is a situation where it would work better for a patch we will be sure to let you know, but skin patching is usually just a shortcut that doesn’t yield favorable long-term results. When you choose Unique Landscaping for your Oklahoma City area or Tulsa driveway repair you will never have to worry about shady practices like repairing cracks without the proper product to prevent water penetration or watering down concrete sealers to make them stretch farther than they should or doing concrete overlays when a complete replacement should be done. If you want to be sure that your concrete driveway repair is handled appropriately the first time then give us a call today and trust your driveway with the best!